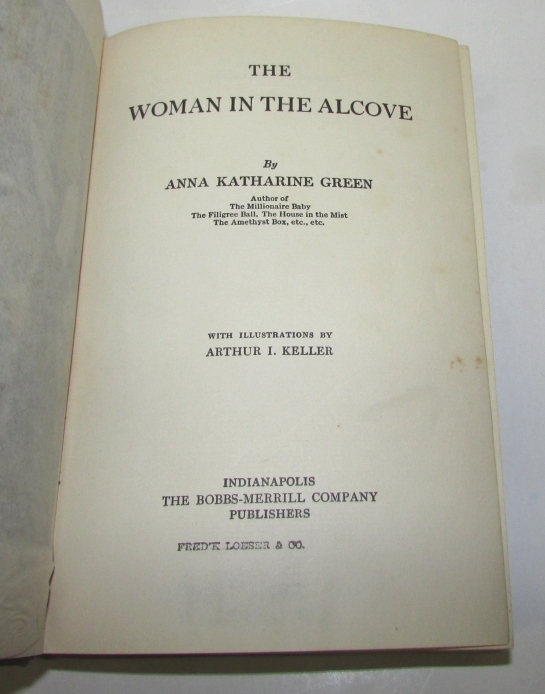 GREEN, Anna Katharine. 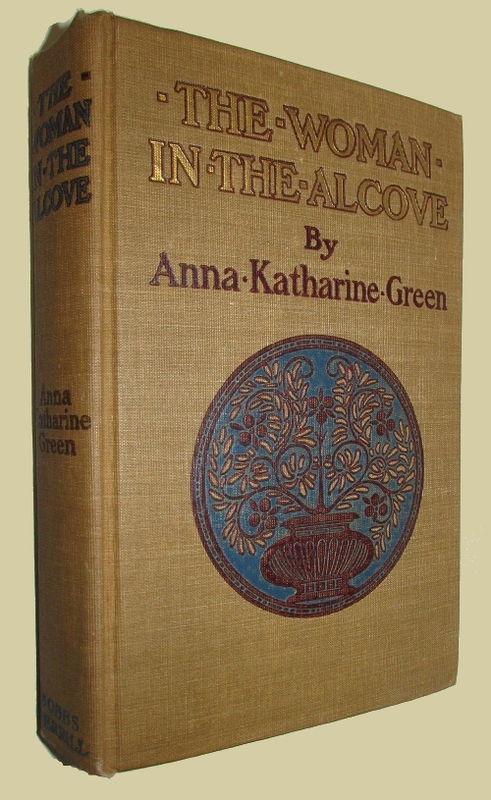 The Woman In The Alcove. Indianapolis: Bobbs-Merrill, (1906). First edition. 8vo., original mustard yellow cloth with a circular pictorial medallion in blue and brown on the upper cover, (8), (372)pp. With illustrations. A trace of rubbing to the spine ends otherwise a fine copy. Hubin p.175 (Caleb Sweetwater mystery).